The government in Japan has devised a novel way of getting rid of – or delaying, at least – that Monday feeling: letting workers take the morning off. Under plans dubbed ‘Shining Monday’, the Ministry of Economy is pushing forward its drive to improve the work-life balance by giving workers a lie-in. 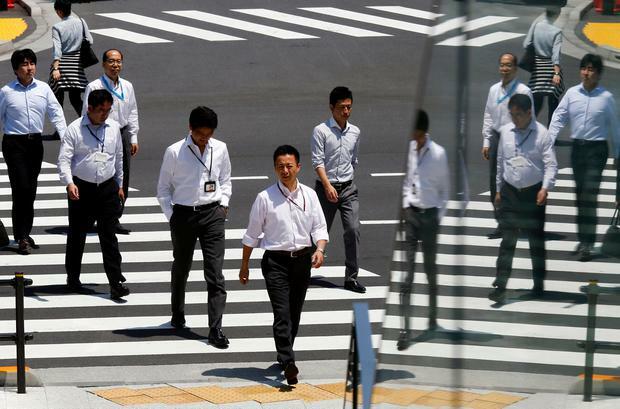 Shining Monday is part of a broader plan to encourage companies to cut down on employees’ overtime and get them out of the office earlier – while at the same time tackling the persistent problem of “karoshi”, or death by overwork. Last year, the government launched its Premium Friday scheme, under which companies were asked to tell staff to clock off early on the last Friday of every month so they could spend time with family and friends. The hope was that as well as reducing work-related stress, people would give the economy a boost by spending on going out and even help encourage couples to have children.